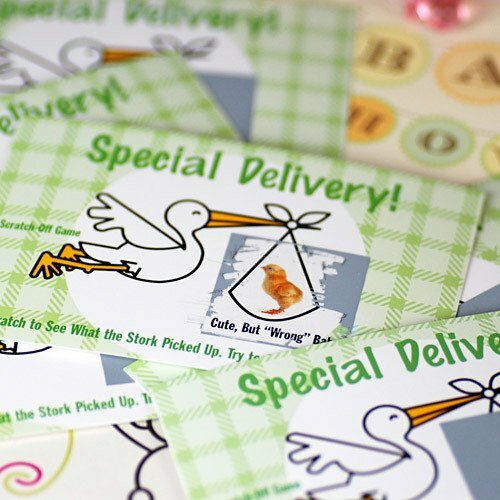 Pool Party Games and Pool Party Favors for Prizes to make your Summertime Baby Shower a splashing success! 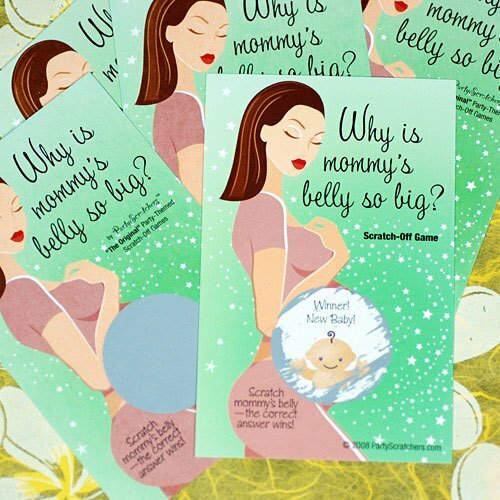 Looking for Summer baby shower games, favors and prizes? Try "Toss The Baby" or "Rubber Duckies Across the Pool". Whether your guests are an active bunch, or a more laid back crew, find lots of amazing ideas to make your Summer baby shower fun and enjoyable. One of our favorite outdoors game is "Toss the Baby" ... No, silly, you don't really toss a baby! You fill up water balloons and keeping a good distance between you and your partner, (or competitor ;) ) toss the water balloon back and forth. Who ever breaks the balloon, loses. Another fun active game is "Rubber Duckies Across The Pool". This one takes a bit of coordination. You'll need a rubber ducky for all participants. Now, without touching the rubber ducky with your hands, you have to push it across the pool with your nose. First one across, wins! Are Your Guests More Laid Back? Perhaps you'd like a lazy day, float in the pool, enjoy the sun, then maybe sit back and relax in the shade of the patio. Sounds great, right? Well, we have some pool party games perfectly suited for the ... hmmm, should we say ... more sedentary crew ;) Gather 'round your patio chairs for some fun games. 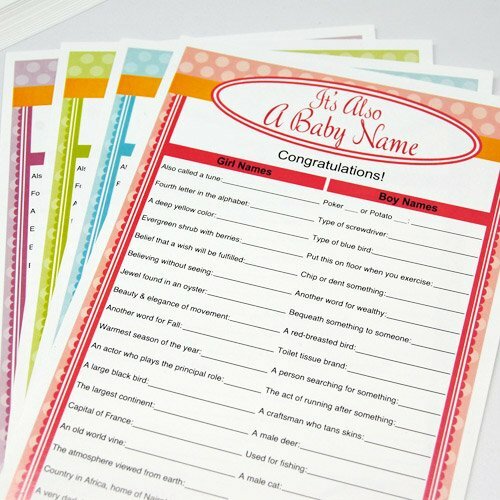 Discover awesome Printable Baby Shower Games, plus, so simple; no fuss, no extra props - 75 Printable Baby Shower Games with Answers. WOW! Or maybe just One Game ... for the not so fanatic about baby shower games ;) ... Summer Bingo, anyone? For all of your lucky winners! 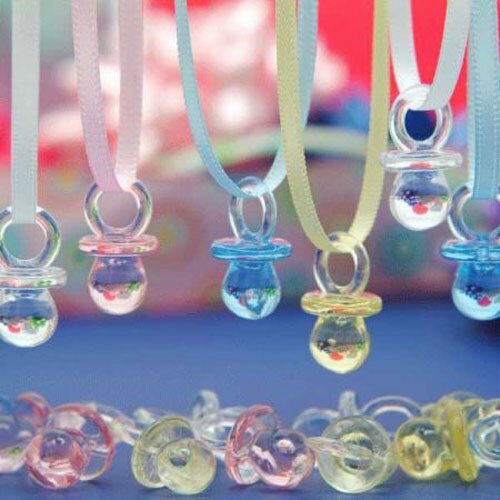 Find lots of new Summer baby shower favor ideas for your Baby Shower Splash on our Summer Baby Shower Favors page. Remember how we always say Keep It Simple? Well, here's a perfect opportunity to save money and clean-up time. Use your favors and prizes to decorate with and when some wins in a game, just have them select from one of your gorgeous decorations to take home!